I feel very fortunate that I have faced no financial difficulties whatsoever at Oxford. This is entirely due to the extremely generous bursary support, which means I can focus on my studies (and hobbies) without financial anxiety. If you are a Home (UK) or EU student undertaking your first undergraduate degree, the tuition fee for 2016 will be £9, 000. You can access a loan from the UK government for the full amount of your tuition fee and do not need to pay any fees upfront. If you are from Wales, you may also be eligible to receive a partial tuition fee grant, however the Welsh Assembly have not yet announced the 2016 funding arrangements. If you wish to pay your own tuition fees upfront rather than accessing a loan, further information on the arrangements for this can be found in our Payments and Refunds and Fee Liability pages. If you are a Home (UK) or EU student who has already completed a previous undergraduate programme of study you will be classed as an Equivalent or Lower Qualification (ELQ) student. Your tuition fee for 2016 will be £9, 000, and you will not be eligible for any financial support from Oxford or the UK government. If you did not complete your course, you might not receive funding for the full length of your studies at Oxford. If you are from outside the EU, you will be classed either as an ‘Overseas’ or 'Islands' student and you should be aware that you will not be eligible for any tuition fee support from Oxford or the UK government. If you are an Overseas student, you will be charged a significantly higher level of tuition fee, which will vary according to your programme of study. Overseas students are liable for an additional college fee. Visit the College Fees page for further information on fee rates. If you are a Home (UK) or EU student on the six-year medicine course, you will have different tuition fee arrangements in years five and six, as your fees will be covered by the NHS. Visit the Funding for UK/EU Medical Students page for more information. 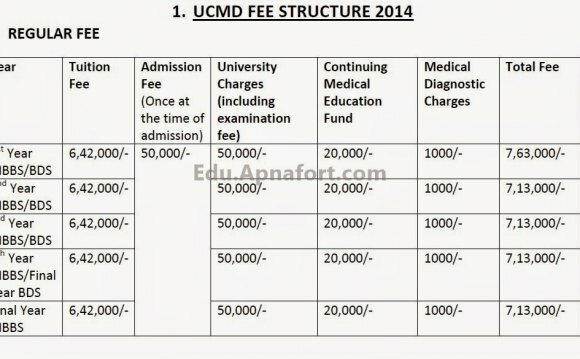 Medical students with Islands or Overseas fee status should note that the tuition fees for the clinical years of their course will be considerably higher. Home/EU and Islands students will be required to pay a year abroad tuition fee of 15% of the full tuition fee that applies in that year. Overseas students will be charged a reduced rate of tuition fee for their year abroad. Visit the Year Abroad Fees page for further information on fee rates.